Ellen Lenson, LMT, VCSW, E-200 Hr RYT, began practicing yoga regularly in 1999, while living in New York City. Her practice quickly became was a place of refuse and joy. She began teaching in 2008 and has done so continually ever since. 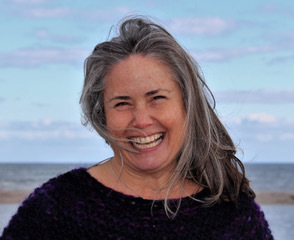 Ellen has studied extensively with Judith Hanson Lasater and is one of her senior Restorative Yoga assistants. Currently teaching Yin and Restorative yoga, she has also taught Forrest Yoga and alignment/anatomy-based classes. Her workshops are deeply influenced by her study and practice of craniosacral work. It is in the stillness and quiet that we can truly hear and heal ourselves. She has a private practice in New Haven CT where she specializes in helping people feel better in their bodies using a combination of Visionary Craniosacral Work, myofascial release and yoga.